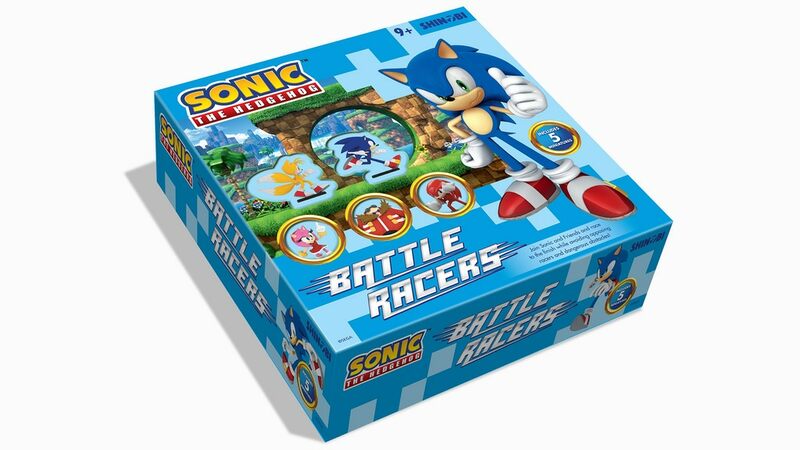 If one Sonic board game isn’t enough for you, good news there’s another on the way! 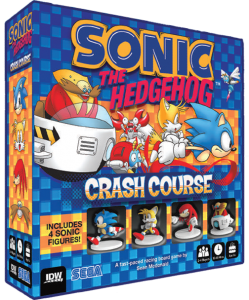 IDW Games’ Sonic the Hedgehog: Crash Course is now available to pre-order from Game Nerdz. Currently the game is discounted on Game Nerdz site, down to $18.97. Unfortunately, the site only offers US shipping, so it remains to be seen whether the game makes its way to other areas in the future. Tabletop game company Shinobi 7 has launched a Kickstarter project for a new Sonic the Hedgehog board game, Sonic the Hedgehog: Battle Racers. A full overview of the game itself is provided by the Kickstarter page, but the gist of it seems to be a tabletop translation of the ring-collecting, badnik-bopping antics that Sonic’s known for. There’s also a slew of benefits for people who pledge certain amounts to the campaign, such as exclusive Badnik figures and a Super Sonic player piece; as well as Stretch Goals aplenty. The minimum pledge, which gets you the game and the Super Sonic figure, will set you back around £36. That being said, the campaign mentions extra shipping costs for rewards.